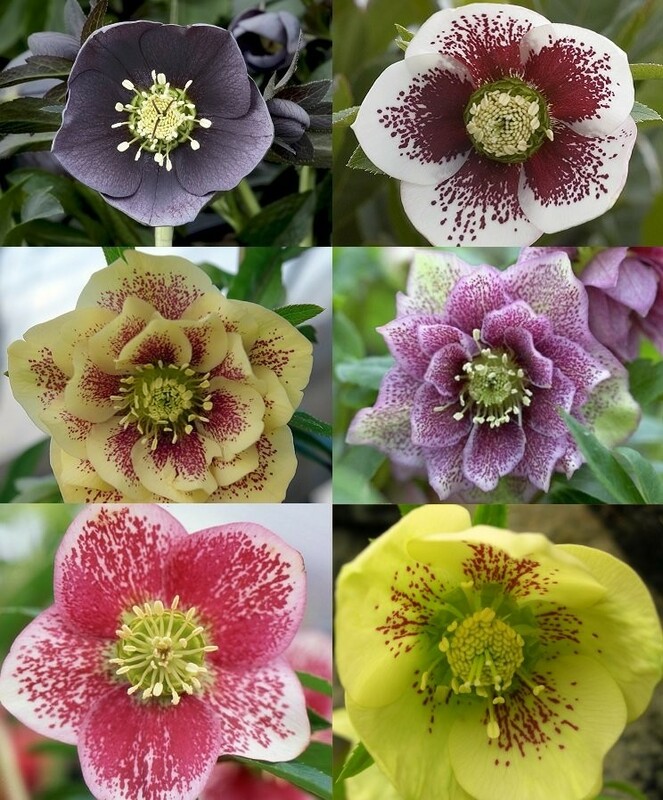 Pack of three oriental Hellebores in special varieties selected by us, all different. Lovely, highly sought plants, this is a great value way to start a collection. Colours may vary, this is a lucky dip mixture, all beautiful types and great for under planting shrubs or naturalising on wooded banks under tree or other areas with dappled shade, Supplied as flowering sized plants in approx 1-2 litre containers.